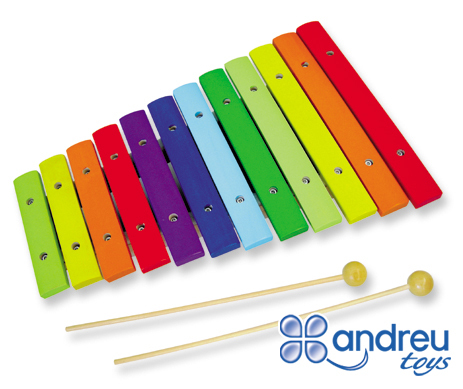 Nice xilophone to play your first musical notes and learn about music with soft tones. Made of wood. Size: 31 x 23 x 4 cm.